There are few things more satisfying than hearing the canning jar lids pop after the waterbath, although now it’s becoming a close tie with taking the first bite of a piece of meat my husband has cured (right now, we’re enjoying coppa, WOW is it good…). 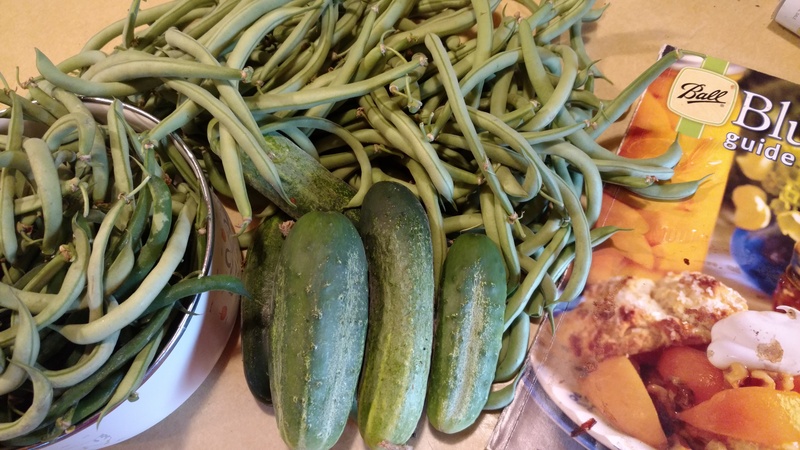 My husband now helps me some of the time with canning as he gets to know my rhythm in the kitchen – usually I put him on prep, as he’s a bit slower on filling jars but he can chop like a mofo! Peach season is almost here which can test a marriage when it comes to canning 50+ pounds’ worth, hahaha…but it’s way more fun to do it with a partner who thinks it’s awesome rather than my ex husband back in the day who couldn’t care less. I do agree on the lids popping 😉 and I got an Excalibur this year so we are hoping to make jerky soon and we have talked of curing our own pepperoni many times! I usually do the canning by myself but we use to team up on it but he’s usually outside fixing equipment these days.